Today we’re going to be talking about the new changes with respect to Visa chargeback regulations. With us, we have Veronika, our online fraud and risk specialists, who will be going over these changes and the impact they will have for merchants. Patrick: Veronika, why these changes? Veronika: It’s important to say that it’s one of the biggest measure changes in Visa for almost 25 years. Imagine that for 25 years the payment industry functioned in a one way, and after 25 years, when all the processes are in place and well established, they are making some changes. 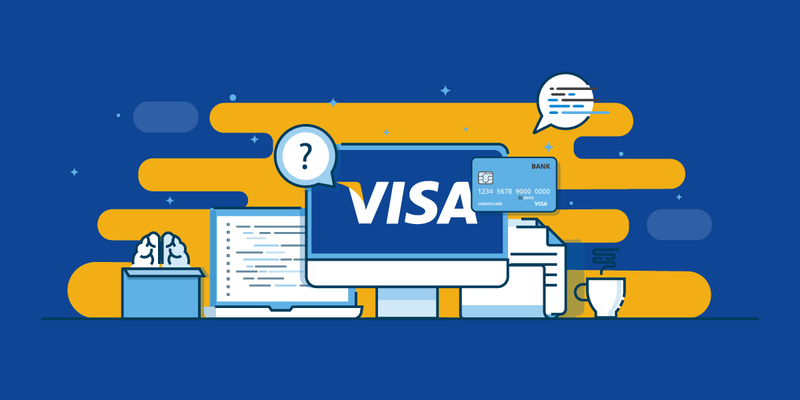 On that note, Visa introduced them in order to help merchants, to help all participants of the payments industry, and to reduce the pain points of chargebacks. As we know, chargebacks are something really important and not the best thing to do and to deal with. Patrick: So, they’re trying to simplify the process? Patrick: What are these main changes that Visa has implemented? Veronika: Mainly, Visa will now group all its current 22nd chargeback reason codes into four dispute categories. It’s gonna be fraud, authorization, consumer dispute, and processing errors. The second change is the time frame for responding to disputes. The time frame now is 45 days in order to respond to initial disputes. Now, it’s gonna be 30 and in 2019 they plan to reduce until almost 20. The third change is that number 75, the code transaction for “not recognized”, is gonna disappear. It’s a very painful moment for all the merchants now to represent such kind of disputes. The fourth change is regarding e-commerce. Only 35 transactions can be disputed within 120 days for one account. Patrick: Veronika, from my understanding, there’s going to be two dispute workflows. Veronika: Yes, Allocation and Collaboration. The allocation will cover all disputes which were raised with a reason ‘fraud’ and ‘authorization’. In the meantime, consumer disputes and persistent errors will go for Collaboration workflow. It’s quite easy, as Collaboration workflow is something that we are used to seeing now in the same legacy systems. If it’s about Allocation, it’s a bit different. Basically, what’s good for merchants, in this Allocation workflow is that every time the transaction is actually with 3DS, it’s gonna be checked whether it was 3DS. If it was 3DS, then chargebacks cannot be issued. Second, it will be checked whether it has been refunded before. If it has been refunded before, it’s not gonna be charged back because we all know that we pay a chargeback fee and chargeback fees are non-refundable. So basically, even when you win a dispute, you still have to pay the fee. This is a really painful point. What’s good with this regulation is that from April 15 in 2018 this is gonna disappear. One more small detail to mention in this section is that once the transaction has actually been disputed after the allotted time frame, it’s gonna be blocked by Visa. Patrick: How can merchants best prepare for these changes? Veronika: First of all, I should say that each merchant knows their business model best. Merchants know their weak points so they should really focus on the way to make these points disappear. Another thing is a clear communication channel with your client. Merchants should address concerns and, as a merchant, of course, you should address all inquiries, all questions because in the end, it’s a client. It’s a client who raised this dispute. It is a client who doesn’t recognize the statement on the card. Moreover, chargebacks should be responded in a timely fashion. I really encourage each and every merchant to respond to them. And when you respond, make evidence, make evidences work for you, because it’s only merchants who can actually make this happen. To compile all evidences and prove that they are excellent. Patrick: Thank you so much today, Veronika, for your time, thank you everyone for watching. If you want to find out more details or get into specifics, feel free to reach out to us, leave a comment, send an email, give us a call, and Veronika will be happy to discuss this further with you. And most importantly, enjoy the rest of your day!